The Railroad is a covert organization formed to aid synths desiring to escape the Institute. The name is based on that of the Underground Railroad, which aided black slaves seeking to escape in the Southern United States. The Railroad smuggles synths out of the Institute, then supplies them for their new lives in the Wasteland, and usually out of the Commonwealth. Due to high levels of suspicion and prejudice against synths in the Wasteland, as well as antagonism from the Institute, the Railroad operates under great secrecy. ^ Coppock, Mark (December 6, 2016). 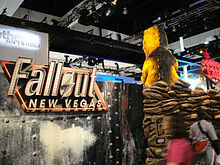 "Now you can play pinball versions of Doom, Fallout, and Elder Scrolls". DigitalTrends. Retrieved November 24, 2018. ^ BarbieBobomb (December 6, 2016). "Bethesda and Zen Studios Team Up for an Epic Pinball Pack". Zen Studios. Retrieved November 24, 2018. 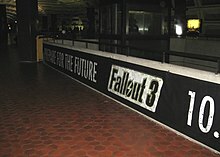 Wikimedia Commons has media related to Fallout (series).